Customer Service, Quality Products and Auto Care Solutions for Your Vehicle. Pro Panda Services is different. We are positively involved in your world — offering not only the best customer service, quality products and the right solutions for your auto care needs, but also a commitment to helping resolve your vehicle issues at minimum cost. 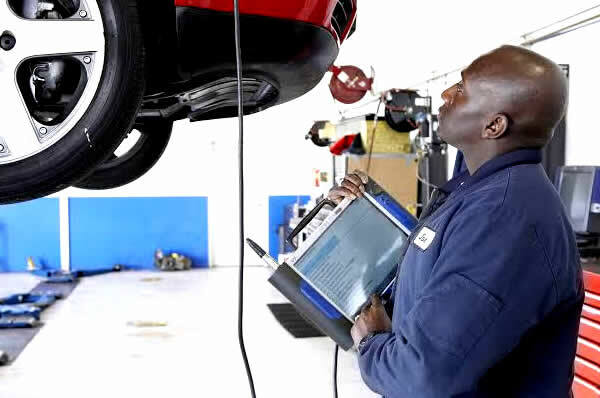 We do realise that in Nigeria there is so much guesswork with how vehicle issues are resolved; this has led us to offer our affordable Pro-diagnostics services, this will enable you to find out ACCURATELY what the issue is and then you can utilise the usual roadside mechanics to fix the issue. Our service brings peace of mind to you by letting you pinpoint the issue and then allows you to utilise the cheap repair mechanics without playing hide and seek with your precious car. Let us reduce cost for your repairs and give you peace of mind while “Kazeem” works on your car. Let us make your repairs more efficient by providing programming and diagnostic solutions. You’ll get the same diagnostic and programming services that the dealerships can provide but at a competitive cost saving you time and money.